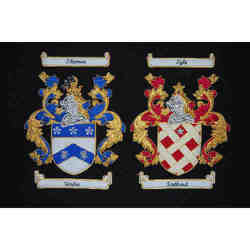 Very delicately designed embroidered Family Crest like embroidered family crest, hand embroidered family crest, thread embroidered family crest, bullion embroidered family crest, carved family crest, irish family crest, italian family crest, scottish family crest, english family crest, french family crest are made using varied patterns and styles for family crest skilled and innovative craftsmen have put all their talent to make the minute designs look as vibrant as possible. 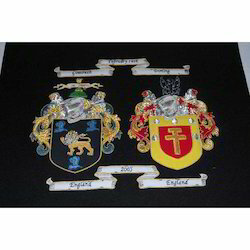 You can send us your family crest drawing and will try to make it best possible embroidery which gives attractive look to frame on your walls. 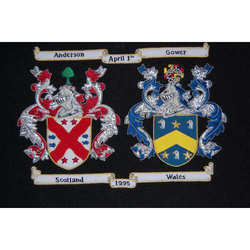 We are offering thomas wales scotland family crest embroidery. Committed to achieve 100% customer satisfaction, we take extreme care to ensure consistent and timely delivery of our products at most reasonable prices. 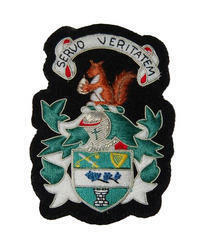 We are supplying Anderson Scotland Family Crest Embroidery to our customers. We produce high quality workmanship for these prestigious coats usually for VVIP’S. 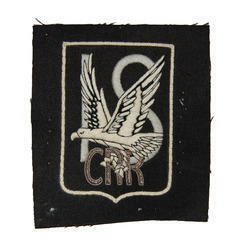 This work is done by best embroiderers under our trick supervision. 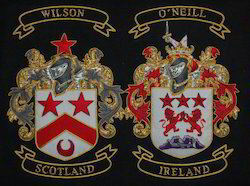 With designs carved or embroidered with premium quality threads, we have for our clients our french family crests. These crests are attractive in designs and truly state our mastery in designing and developing different types of crests. We can also customize our crests in designs and colors of the clients' specifications. 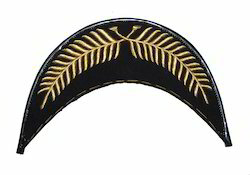 Offering to sell embroidered crests, Merchant Navy Blazer Badge, family crests, double family crests, embroidered motifs, embroidered laces, designer laces, pipe banners, embroidered key holders, coat embroidery, military badges and uniform badges. 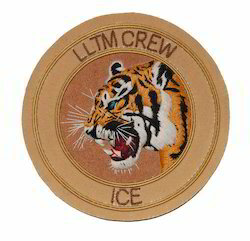 Owing to the years of experience and expertise, we are involved in offering an exclusive range of Fashionable Patches to meet the needs of our customers. For the benefits of our esteemed clients, these products are quality checked by the quality inspectors till the time of final dispatch. These products are highly durable and are available in different sizes and lengths. Our customers can avail from us Machine Embroidered Visor that is available in various designs, sizes and patterns at market leading prices. All the products are designed and developed using premium raw material, which is obtained from the reliable vendors of the market. In addition to this, we have a team of expert quality controllers, which thoroughly checks and tests the entire output on various parameters to ensure flawlessness. 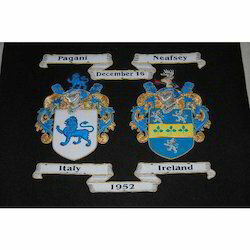 Italy / Ireland family crest embroidery.